Among hundreds of thousands of ancient graves and tombs excavated to date in China, the Mancheng site stands out for its unparalleled complexity and richness. It features two juxtaposed burials, of the first king and queen of the Zhongshan kingdom (dated late second century BCE). The male tomb occupant, King Liu Sheng (d. 113 BCE), was sent by his father, Emperor Jing (r. 157–141 BCE), to rule the Zhongshan kingdom near the northern frontier of the Western Han empire, neighboring the nomadic Xiongnu confederation. 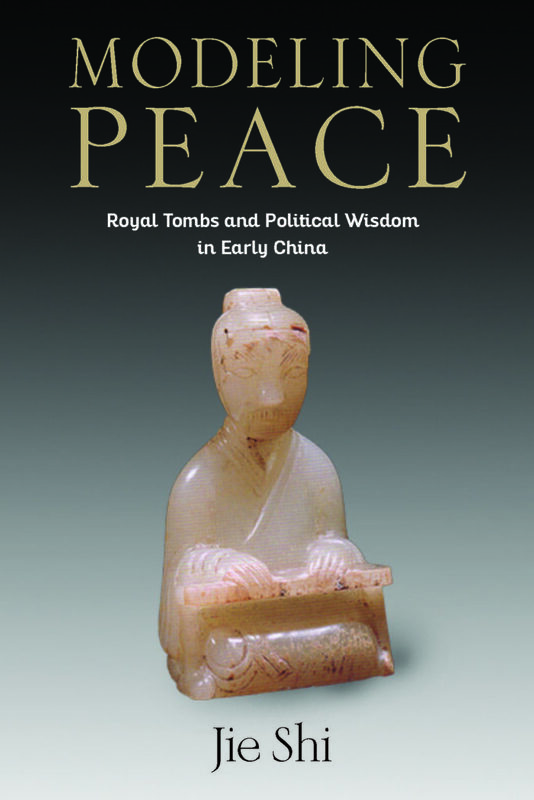 Modeling Peace interprets Western Han royal burial as a political ideology by closely reading the architecture and funerary content of this site and situating it in the historical context of imperialization in Western Han China. Through a study of both the archaeological materials and related received and excavated texts, Jie Shi demonstrates that the Mancheng site was planned and designed as a unity of religious, gender, and intercultural concerns. The site was built under the supervision of the future royal tomb occupants, who used these burials to assert their political ideology based on Huang-Lao and Confucian thought: a good ruler is one who pacifies himself, his family, and his country. This book is the first scholarly monograph on an undisturbed and fully excavated early Chinese royal burial site. Jie Shi is assistant professor of history of art on the Jye Chu Lectureship in Chinese Studies at Bryn Mawr College. His peer-reviewed articles on the art of ancient Chinese burials from the Eastern Zhou to Six Dynasties period have appeared in Journal of the American Oriental Society, Toung Pao, Monumenta Serica, and Early China.